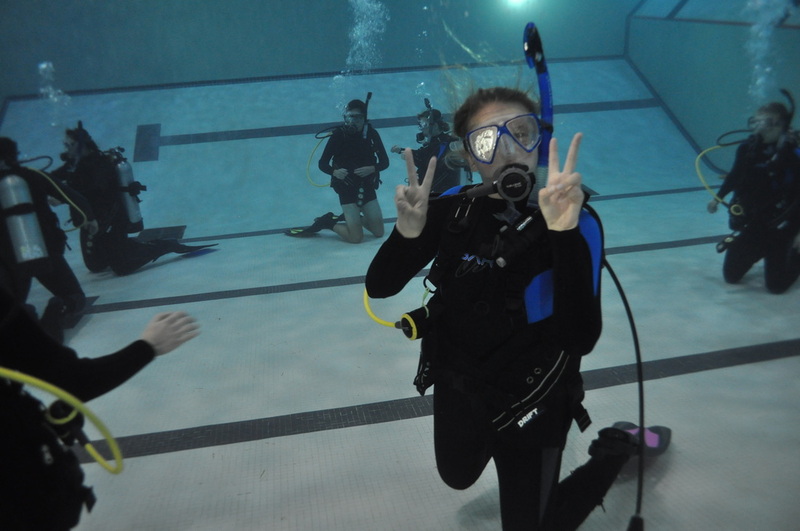 UVic Scuba is a club for certified divers and we do not run courses ourselves. Contact Rockfish Divers if you are interested in becoming certified. The PADI Open Water Diver Course is the classic beginner course. 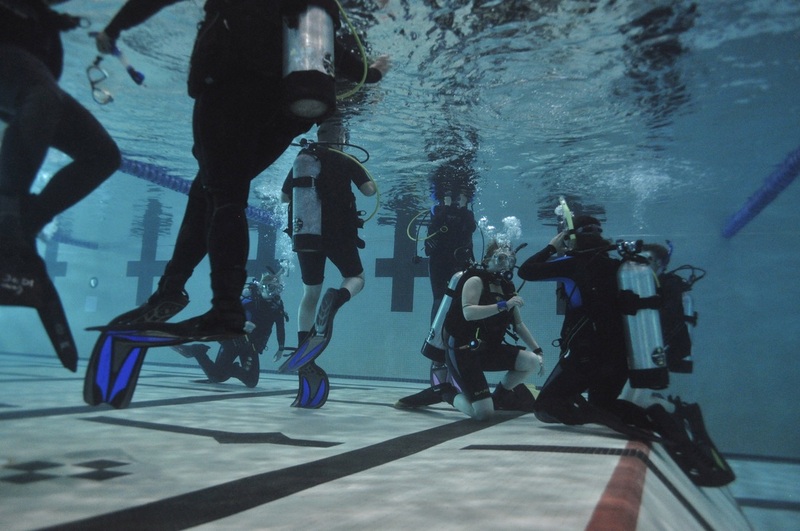 This course offers a lifetime certification to dive to 60 feet/18 meters anywhere in the world. Once you have completed the course you will receive a certification card you can take anywhere you go as a record of your training experience. 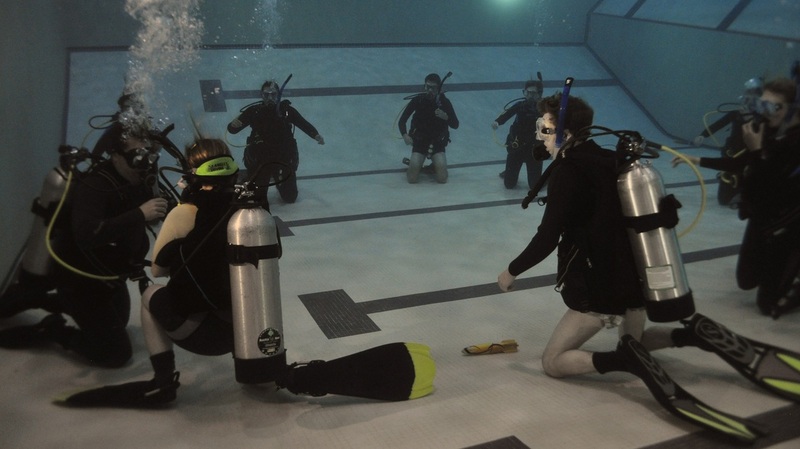 Rockfish Divers Inc. has been teaching courses at UVic for many years. We understand the lives of students. We do our best to integrate biology and ecosystem awareness into our courses. 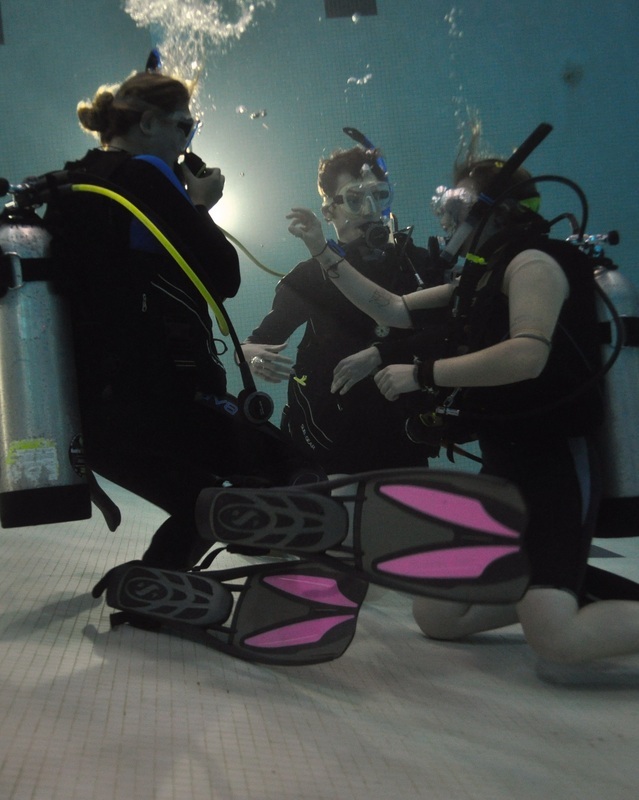 Our instructors have years of experience diving and teaching in cold water. We have done thousands of dives in the Victoria area and know local sites and conditions very well. Rest assured that you are in good hands. Why learn on a boat? YES! we do our open water dives off a boat!! When first learning to scuba dive, many students experience a steep learning curve with the excess gear - a 35 lb scuba tank, 30lbs of lead weight, a hood, gloves etc. is a lot of equipment when you are trying to learn in a unique new environment. When we teach shore dives, many students find it difficult to navigate the shores of BC with an extra 60+ lbs of weight on their back. Diving in cold water can be more challenging than diving in the tropics; as such, we do our best to eliminate unnecessary challenges for our students. Why learn in a drysuit? The diving in BC is cold: so is the top of Mount Everest. If you are properly equipped, you will have fun. Over the years we have found that teaching students in wet suits is not fun for us, or the students. To ensure our students are comfortable, we have brought in a full range of drysuits and undergarments to guarantee everyone stays warm and has a fun time learning how to dive. 4 local open water boat dives in the ocean (Generally 9am-5pm, Sat/Sun). Please call 250-516-3483 or email Rockfish Divers with questions or concerns about the Open Water Course. Ensure that you are medically OK to dive. ​You'll need to know how to swim! Drop into our shop at 3945B Quadra St. (Near the Thriftys at Quadra and McKenzie) to pay for the course in person. We will email you with details on what to do next. Yes - I will go see a doctor BEFORE my course starts. No. Please click here for the Terms & Conditions of completing the open water course.